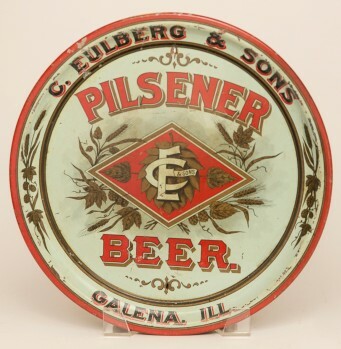 Pre-pro tin litho advertising tray for C. Eulberg & Sons of Galena, Illinois. Tray has edge nicks and a few scuffs in the field, but displays quite nicely. 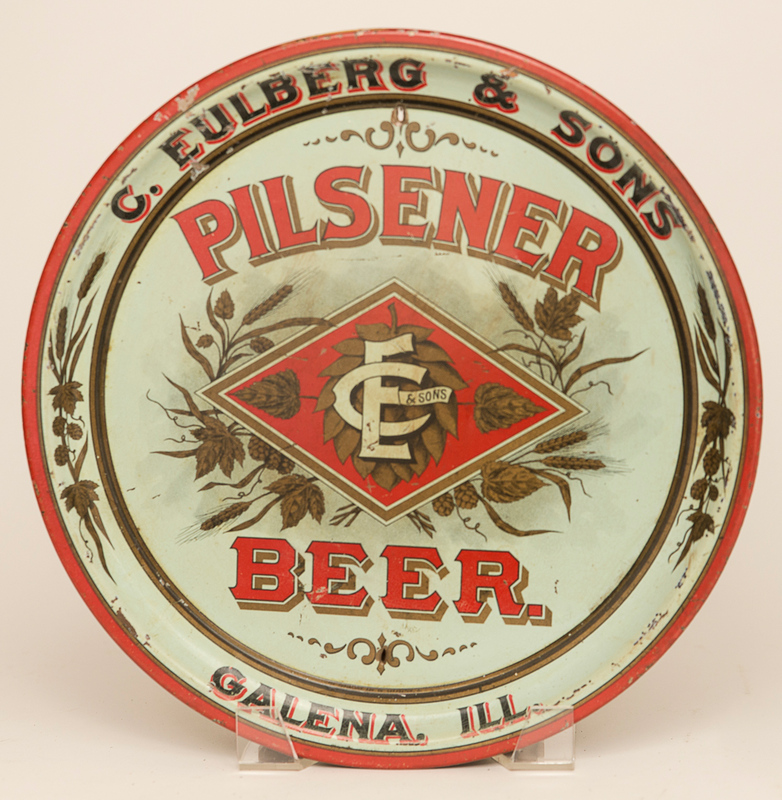 Hard to find tray from a tough Illinois town.